On my arrival I spent time protecting the kitchen units and adjacent wooden floor and then started on removing the old sealer with Tile doctor Remove and Go; I sprayed it on working in small areas and working it into the tile with a brush making sure to scrub it in well, the resultant soiled solution was washed off with clean water the and then removed using a wet vacuum. 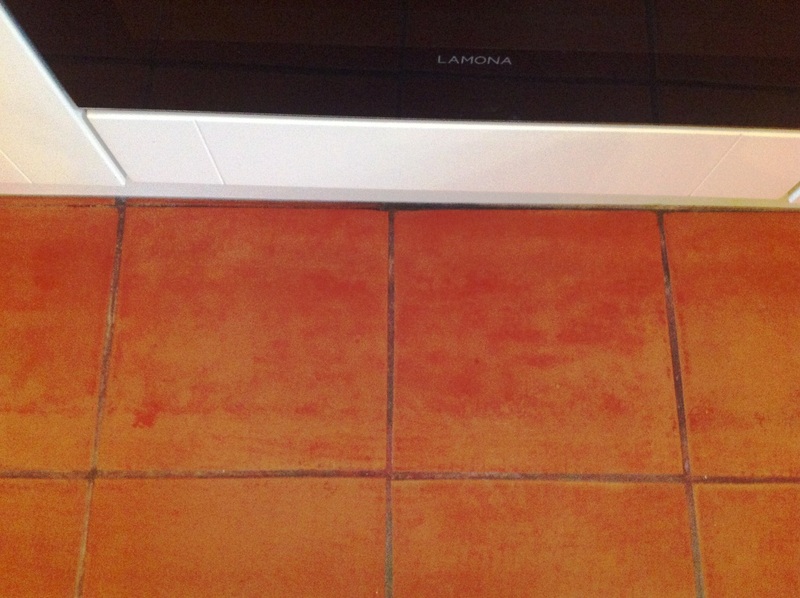 After finishing with the tile I moved onto the grout joints using the same process to make sure they were all clean and then the floor was given a good rinse to neutralise the floor before sealing. Again a wet vacuum was used to remove any liquids from the floor and it was then left to dry fully overnight. 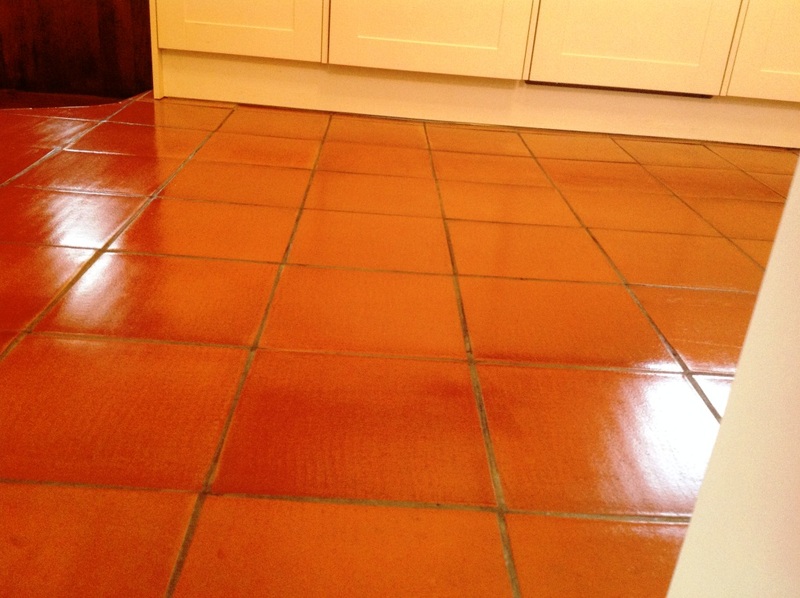 The next day I returned to the cottage and after verifying the floor was dry with a damp tester it was sealed with four coats of Tile Doctor Seal and Go which provides on-going protection as well as adding a nice shine to the tile. 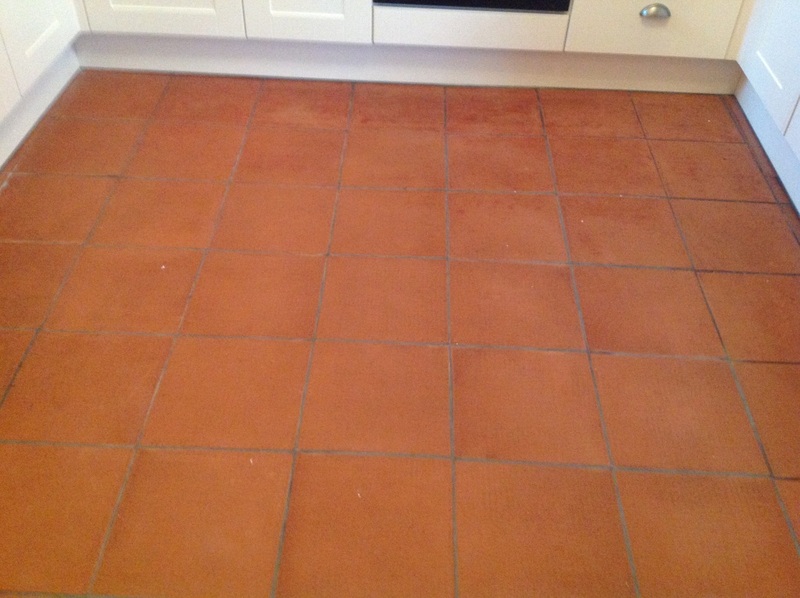 This entry was posted in Tile and Stone Problem Solvers and tagged cleaning quarry tiles, cleaning services, Cockermouth, floor maintenance, floor restoration, kitchen, kitchen floor, quarry tile, quarry tile flooring, sealing quarry tiles, sealing tiles, tile cleaning by AbzDominise. Bookmark the permalink. 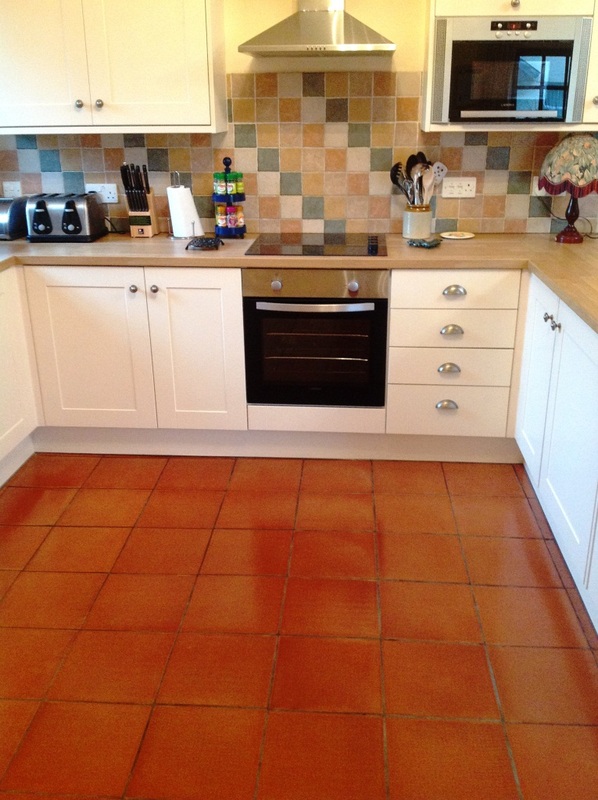 Lovely floor, the Quarry tiles really suit the kitchen and also very practical.